For many of us it may be hard to imagine life without digital technology or the internet. But what about the *20% of UK adults (that’s over 10 million) who don’t have the access, opportunity, or skills to take part in the rapidly changing digital world? GDS assisted digital leads Roxanne Asadi and Alan Rider describe their experience over the past 18 months helping services to meet those users’ needs. Roxanne: When I joined GDS back in 2013, I knew I was entering the world of digital - where the focus is delivery and users are king. What I didn’t yet know was that by ‘users’ we often didn’t mean 100% of users; instead we meant those who were digitally included and capable. I’m an assisted digital lead - that means my focus is on those people who can’t use digital services (yes they exist and no, they’re not all elderly). 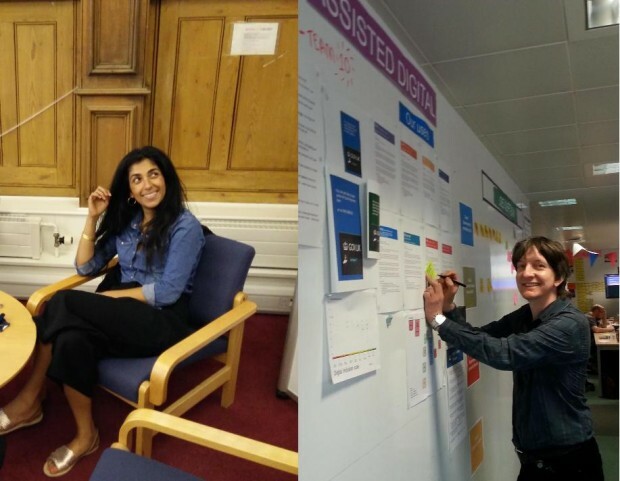 I was part of a new team, brought in to work alongside the Transformation programme to support services to develop assisted digital that meets user needs. Alan: Plenty has changed since we both started. When we arrived, everyone was still finding their feet and awareness across services and departments, and even within GDS itself, was pretty low. 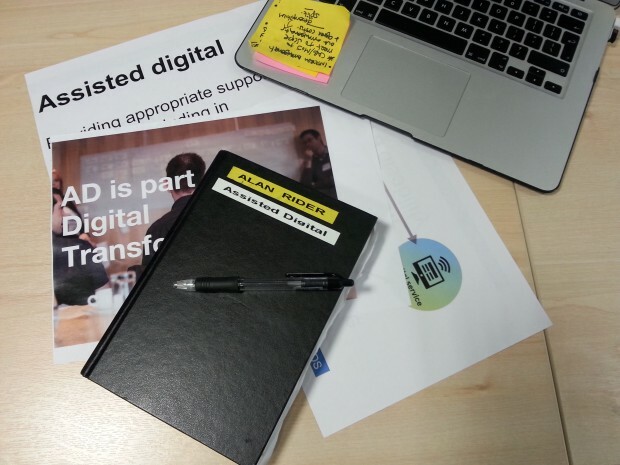 Much of our first few months was spent going round departments and services explaining what assisted digital is and why it is important. Users who need help are not just ‘edge cases’ and getting that message across was vital. 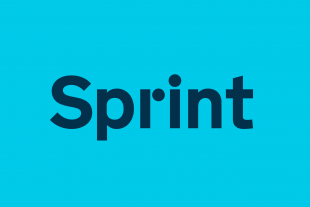 When we started, the full service standard hadn’t gone live. When that happened in April 2014 it gave everything a real boost. That upped the pressure on us to support services to meet the standard for assisted digital. Roxanne: Departments have always tried to support their users, that’s nothing new, but this was about moving away from a multi-channel approach to Digital by Default. We’re building great digital services for everyone, so leaving those who don’t have digital skills to carry on using existing channels is the wrong way of looking at it. Alan: Whilst we were happy to talk to individual services and provide guidance, for me the real value came from getting departments and services together in one room for some workshops to develop a model of assisted digital and share experiences and ideas as a group. That really helped and we have seen the benefits of this reflected in better assisted digital support. It hasn’t all been plain sailing but we are all on the same side really - that of the user - and I think everyone appreciates that is why we have to be firm on the need to put good assisted digital support in place. We’ve seen some great research and successful assisted digital in action, and no longer have to explain why assisted digital matters, or what it is (well, not often). Of course, assisted digital isn't just about helping vulnerable users to access digital services, it's also about improving the capability within government so that their needs are considered right from the off and integrated into every aspect of service design. The big challenge going forward is about helping and supporting departments to raise their capability in this area and ensuring the right assisted digital help for users is put in place across the whole of Government, particularly as we move towards common platform approaches to delivery. It’s been quite a ride, but we’ve enjoyed every minute. And it’s not over yet. Read our AD blogs to find out more. Follow Alan and Roxanne on Twitter, and don't forget to sign up for email alerts. At the other end of the scale, it would be nice to subscribe to all gov.uk blogs (75 currently) in one fell swoop, but this seems neither possible. I have worked in IT/Software Engineering for many years and continue to be disappointed by how terrible and un-user-friendly the systems are when implemented by private contractors one or two steps away from the public purse. I hadn't heard of the Assisted Digital work in relation to GDS, notice of it hasn't really reached me in Wales! But discussing it as part of a LocalGovDigital Unmentoring chat has been really interesting. There's some interesting things going on with Digital Communities Wales (http://www.digitalcommunities.wales/) this side of the border to aid digital inclusion, and it's predecessor Communities 2.0 (http://www.communities2point0.org.uk/) that include lots of interesting learning. Good luck with your work!